We've been hearing some interesting rumors in the last few days that are stirring up all kinds of speculation about the potential upcoming consumer release of the HoloLens. However, MSPoweruser has speculated a bit further past the consumer HoloLens release to a possible HoloLens 2 as soon as Q3 2017. Himax Technologies, a major supplier for many of the components of the current HoloLens version, had its stock price fall 19.1% back in September. This was because of weak shipments of the mixed reality headset at the time, as well as speculation that a shift in the production line for the HoloLens was taking place. More recently, Jordan Wu, CEO of Himax, somewhat confirmed this rumor when he blamed a "major AR customer's shift in focus to the development of future generation devices," and hinted at increased sales after the first few quarters of next year. With that hint of customer shifts from someone that is most likely Microsoft, as well as the recent patent filings by Microsoft for capacitive eye-tracking sensors, we have a strong indication that Microsoft could have some kind of HoloLens revision sometime next year. You could say it's thin, but entirely possible. Another possibility could be a shift toward OEMs. 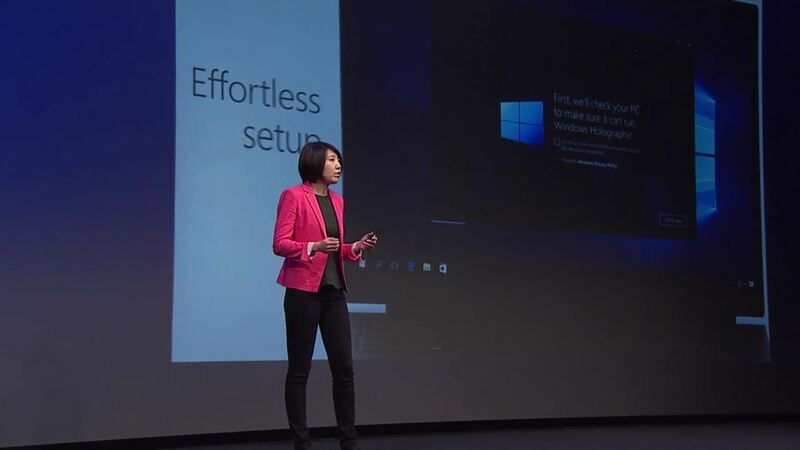 After watching the presentation from Microsoft at WinHEC 2016 in Shenzhen, China, one gets the idea that Microsoft wanted to make the flagship device, then hand the mixed reality torch off to manufacturers such as Dell, Acer, and Asus. At that point, Microsoft can support their partners and eventually embed Windows Holographic as the go-to holographic operating system. And that is why we have come out with something we call inside-out tracking. And that is also the technology we are offering to you, our HMD partners as well. For me, the crux is will this be an entirely new model, the promised consumer version of the current HoloLens, or something else altogether? Of course, there is one more potential reason for Microsoft to stop component orders for nine months—they have plenty HoloLens already in stock, and they're not flying off the shelves as Microsoft had hoped. It can be fun to speculate, but only time will tell what will happen next year with HoloLens hardware. I am very curious to hear about your takes on these rumors. Let me know in the comments below.